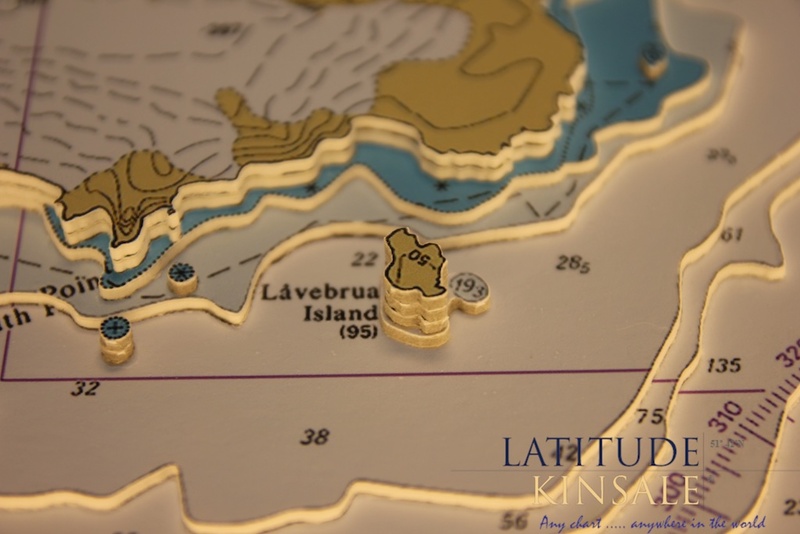 Deception Island is one of the South Shetland Island group of islands in Antartica. 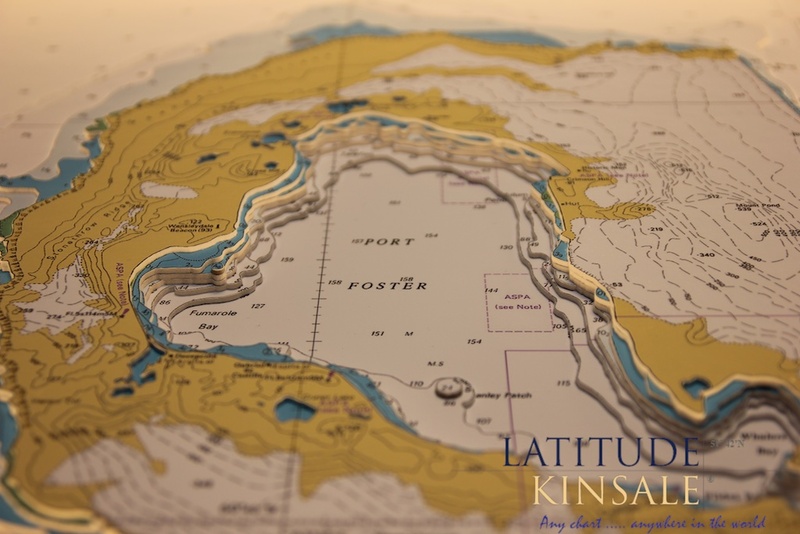 The island is horse-shoe in shape with Port Foster at its centre. 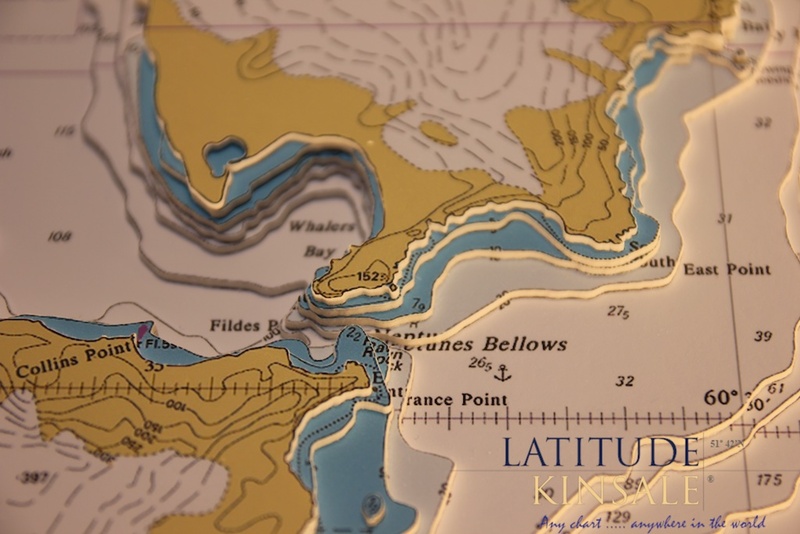 More than half the island is covered by glaciers. 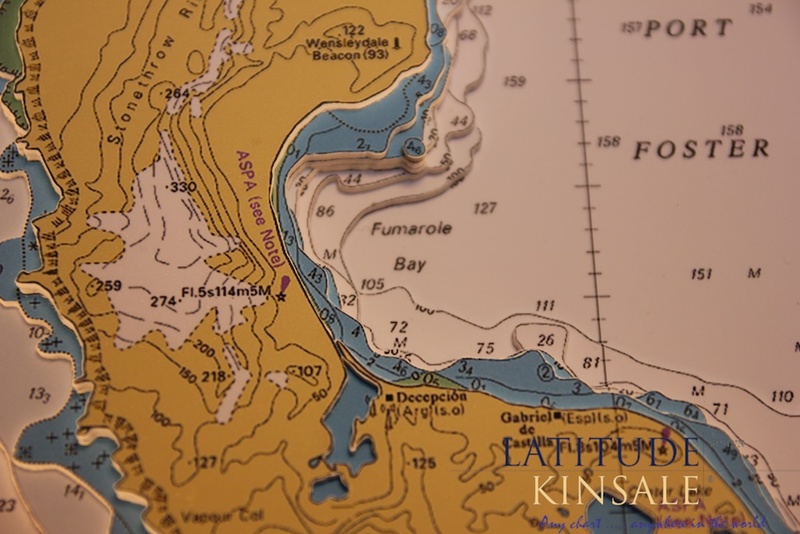 This was formed by an eruption which has been flooded by the sea to form the bay. 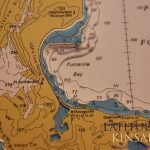 Notable locations on the island are Whalers Bay. 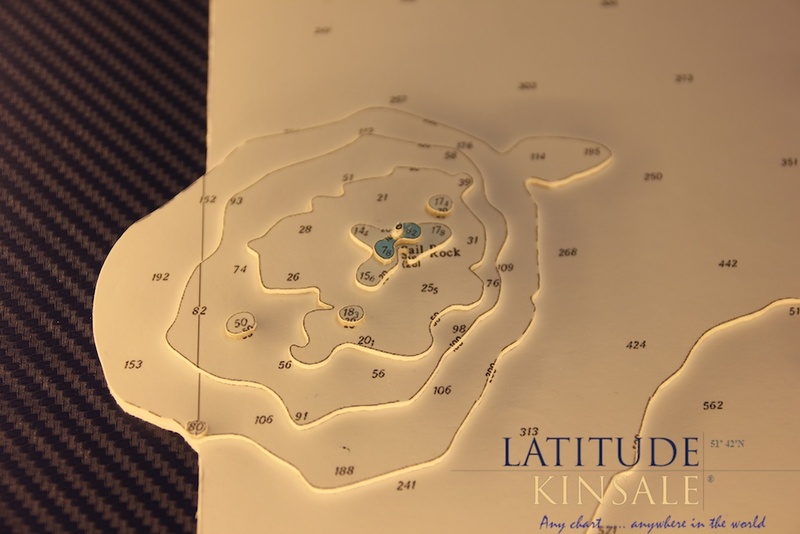 Mount Kirkwood, Fumarole Bay, Sewing-Machine Needles, Telefon Bay and Telefon Ridge. 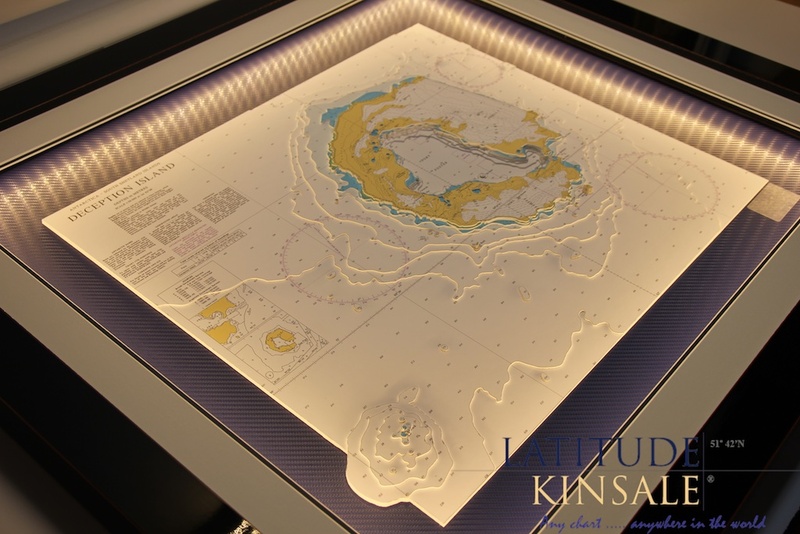 Deception Island is still an active volcano and most of its visitors are there for scientific research purposes. 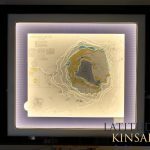 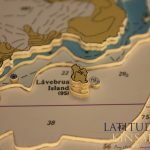 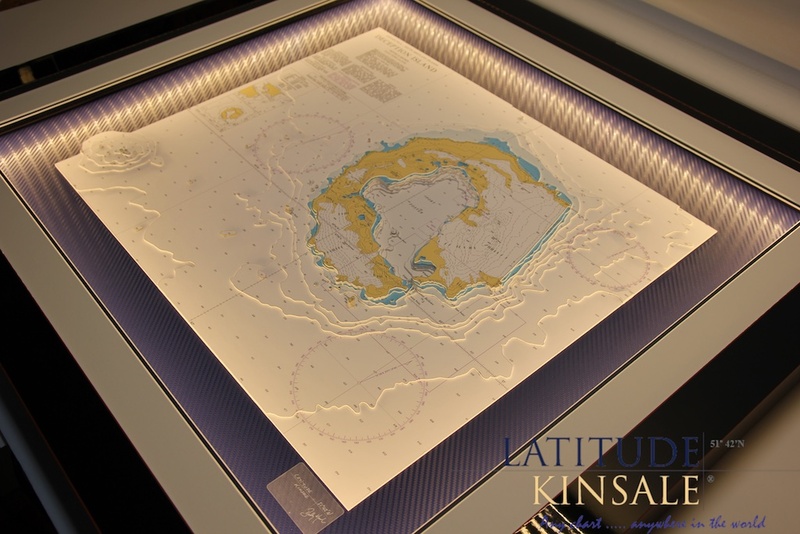 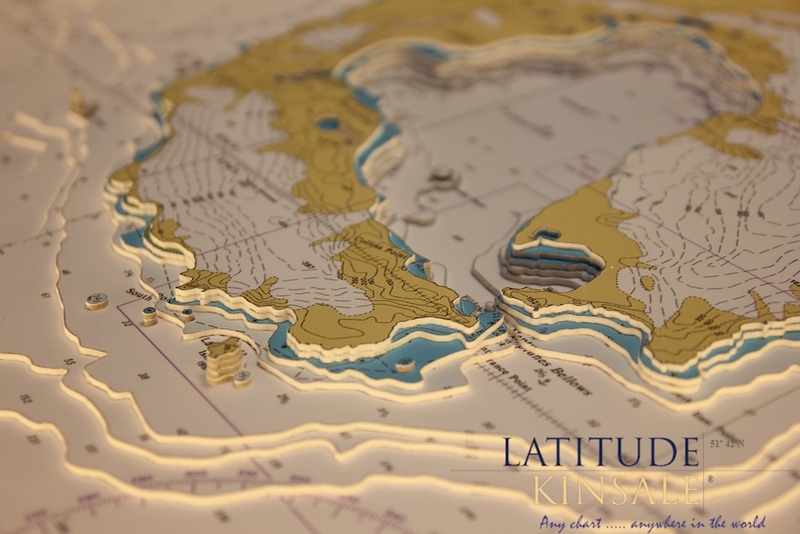 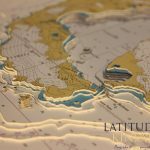 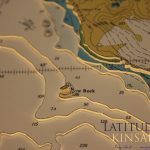 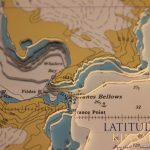 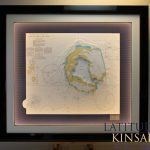 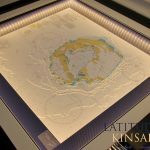 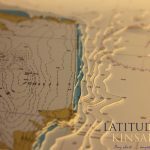 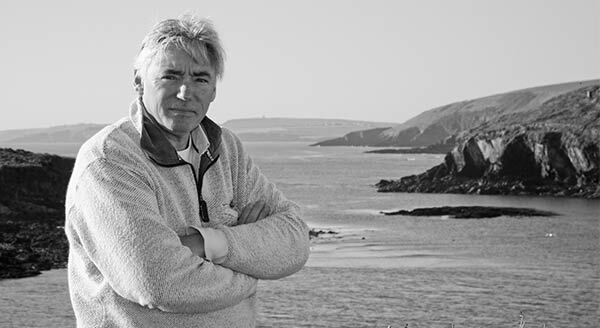 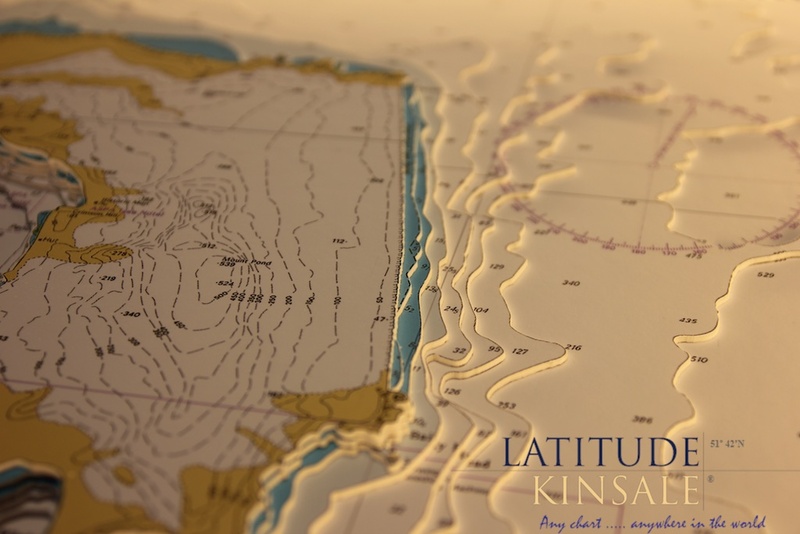 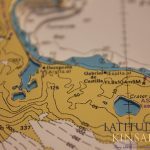 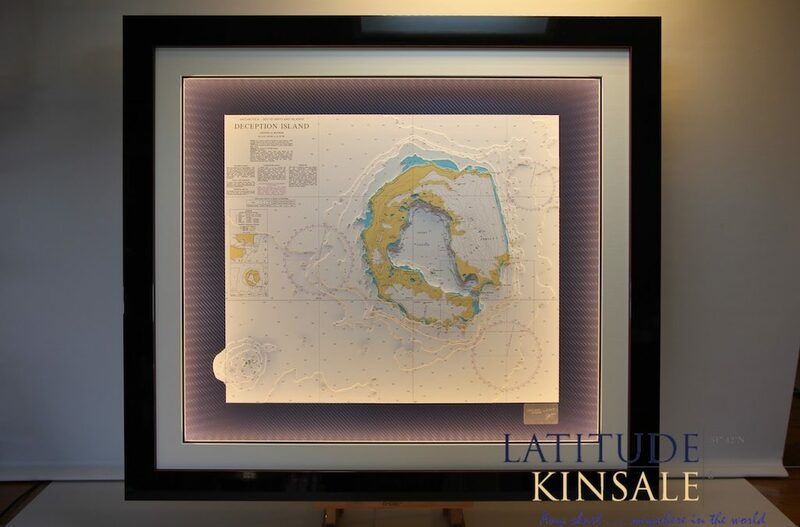 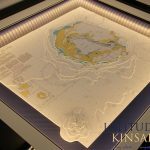 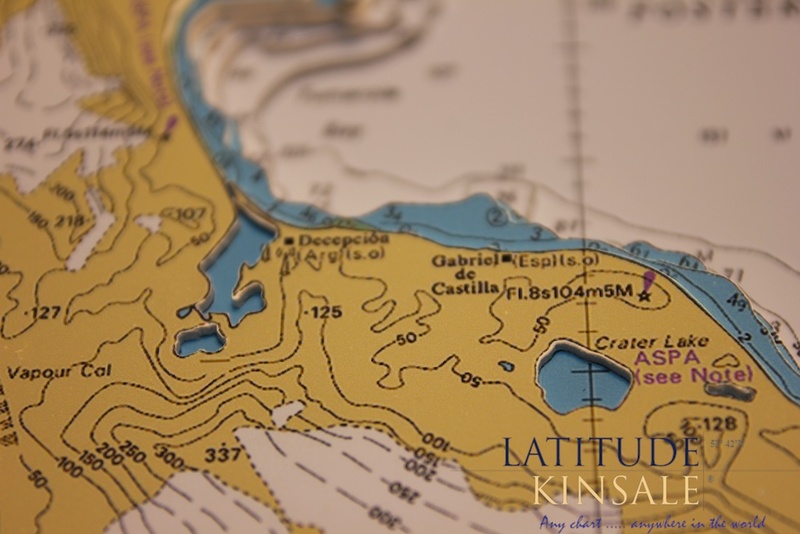 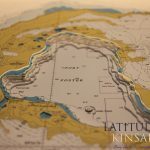 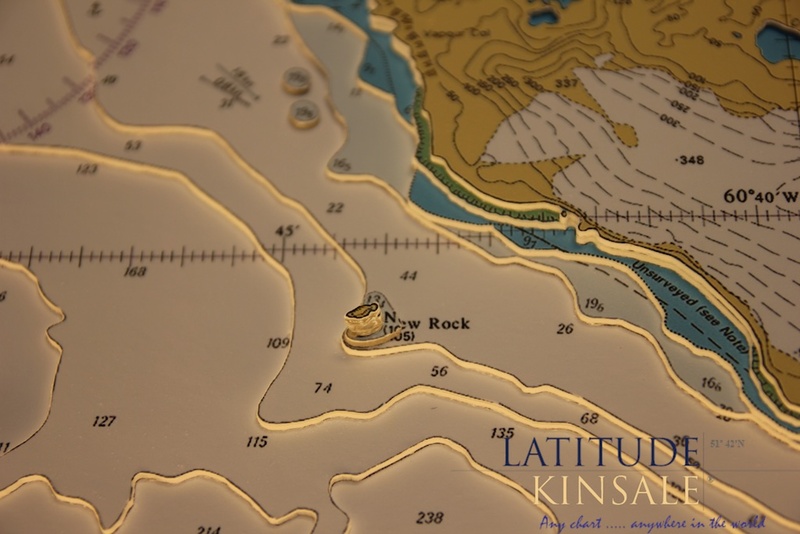 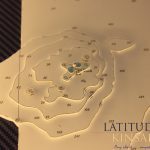 Latitude Kinsale receives commissions for locations in the most far-flung regions of the world but this is certainly among the most remote. 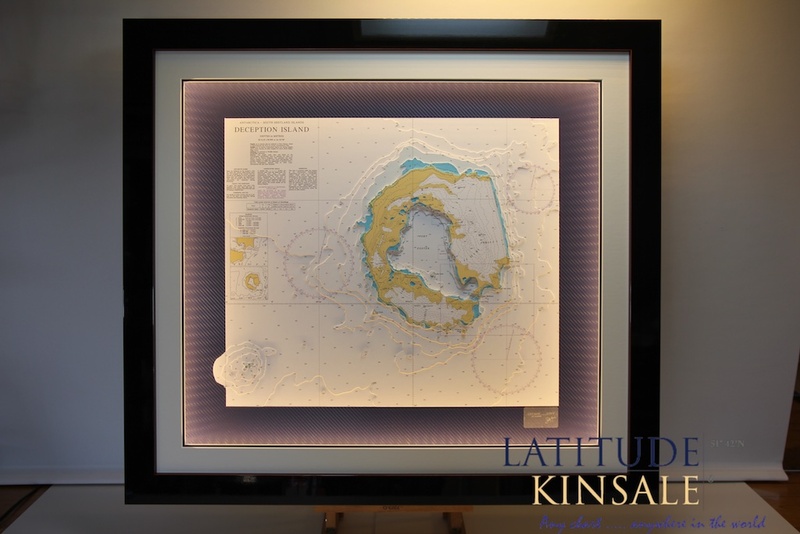 The chart is set on a blue background and has a grey mount and a black frame. 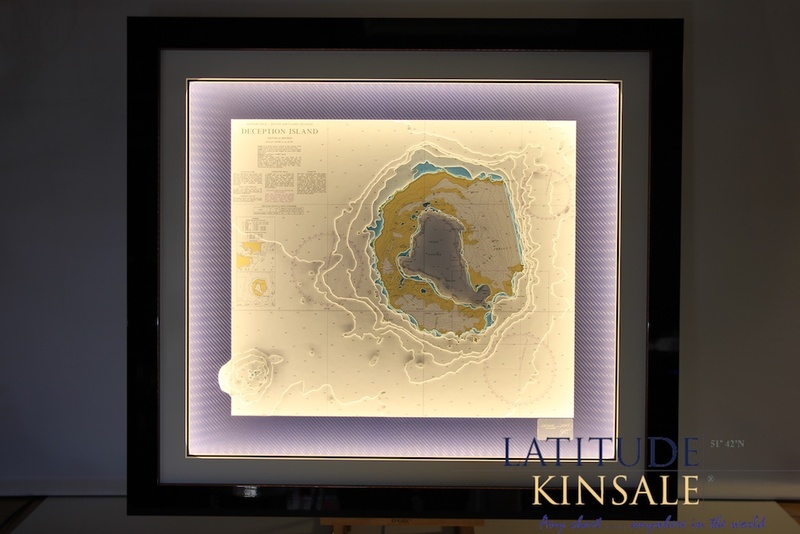 It is finished with surround lighting built into the frame.